This is the equation that will help you find any side of a right triangle as long as you are given the lengths of the other two sides. It uses the squares of the sides. You&apos;re also able to prove that a triangle is a right triangle if you have all the sides and are able to put their lengths nicely into the pythagorean theorem. We briefly touched on what the hypotenuse is above, but simply put, the hypotenuse is the longest side of a right triangle. You can find the hypotenuse opposite from the right angle in the triangle itself. It is the only side that is not touching the 909090 degrees angle. So you may be wondering: how do I find the hypotenuse? It&apos;s simple! You just use the pythagorean theorem above! It is crucial to helping you figure out the hypotenuse in a right angle triangle. You will first need the other two sides before you can figure out the longer hypotenuse side of the triangle, but it&apos;s easy once you&apos;ve got that down! 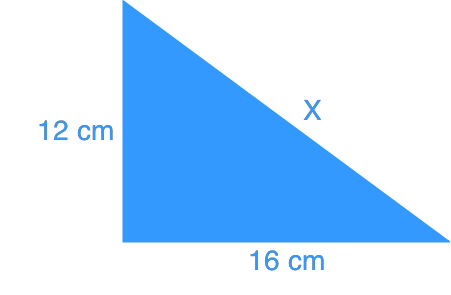 Let&apos;s try our hand at using the pythagorean theorem to work out the sides of a triangle with some example problems. Find the side lengths of the squares. You can see that there is a 909090 degree angle in the triangle sandwiched between the three squares. 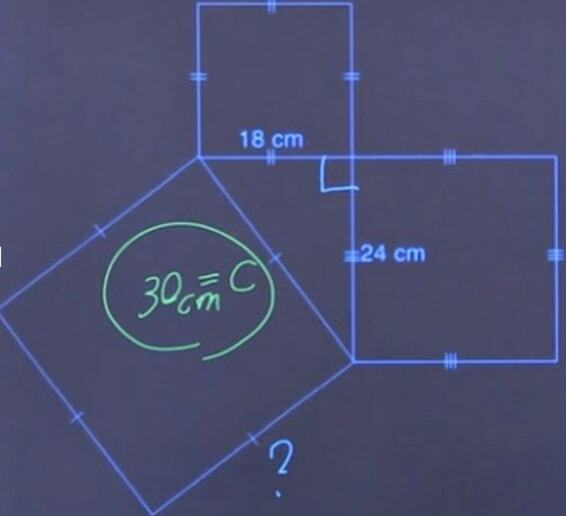 This means we&apos;ve got a right triangle here, allowing us to use the pythagorean theorem to help us find the answer. We have two sides given to us, and in order to find the hypotenuse, we can substitute in the numbers into the pythagorean theorem. Your final answer is that ccc equals 303030cm. Once again, we&apos;ve got a right triangle. We&apos;re also finding the hypotenuse in this case. Let x=cx = cx=c, which is our hypotenuse. You&apos;ve probably got the hang of the steps by now! Play around with this online calculator to see how the pythagorean can be used when you scale the sides of a right triangle down or up. Moving on forward, explore how to use exponents to describe numbers and how you can use the linear function distance formula in math. In the nutshell, Pythagorean theorem/Pythagorean relationship describes the relationship between the lengths and sides of a right triangle. 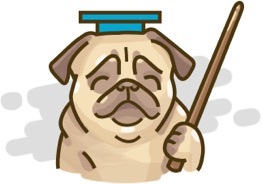 After thousands of repeated examinations by the ancient Greek mathematicians, it was found that the square of the hypotenuse is equal to the sum of the squares of the other two sides c² = a² + b². i) What is Pythagorean Theorem? 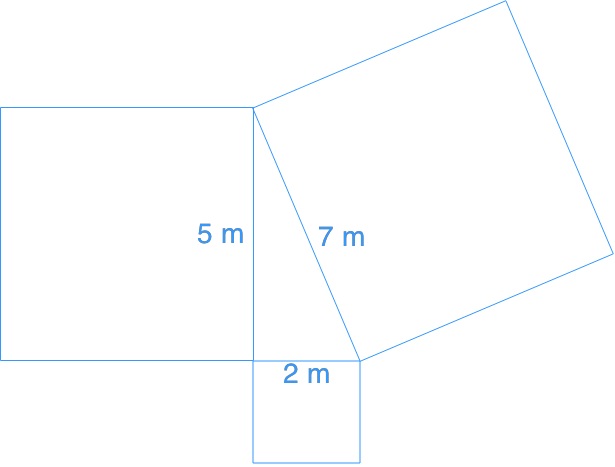 ii) How to use Pythagorean Theorem to find sides of a triangle? 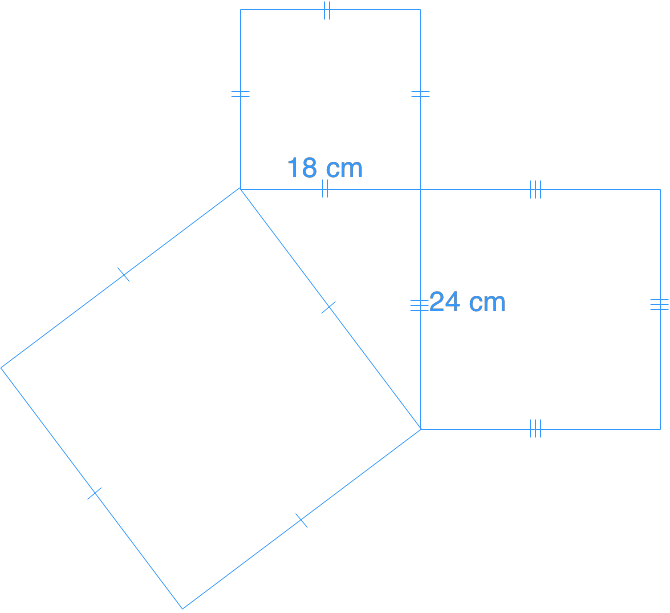 Find the area of the squares. Is the triangle in the middle a right triangle? Why?